We’re Adding A Bionic Boost To The Festivities! As if the February event isn’t already packed with your favorite stars of yesterday and today, here’s another two to add to the list of those you’ve simply got to meet. The Bionic Woman stars Lindsay Wagner and Richard Anderson will be joining in on the weekend’s festivities! This entry was posted on January 22, 2010 at 11:40 pm and is filed under Breaking News!. You can follow any responses to this entry through the RSS 2.0 feed. You can leave a response, or trackback from your own site. truly amazing……….everyday i look at the website and i get more and more excited!!!!! i almost had a stroke when you guys got butch patrick i grew up watching the munsters…….. I DO HAVE A PROPOSITION FOR ANY FAN OF THE MOVIE THEY LIVE!!!!!! I HAVE AN EXTRA TICKET TO THE ROWDY RODDY PIPER SHOW AT THE IMPROV IN HOLLYWOOD ON FEB. 13TH AT 10 PM……….IF ANYONE IS INTERESTED I’LL GLADLY EXCHANGE IT FOR THEM TO GET MY THEY LIVE POSTER SIGNED BY MEG FOSTER………..
Oooo you guys gotta get LEE MAJORS! I will die if that happens. We tried, but he wasn’t available. Agree with Ness, Lee Majors would be a great/fantastic to have at the show. Majors and Roger Moore would get me on a plane right away if they did a show. 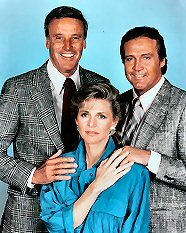 How great would it be to have Lee with Lindsay Wagner and Richard Anderson!!! We would have loved that too, but he wasn’t available that weekend. Please don’t give up on him. Would still be cool to see him at one of your future shows. checking the website, I can’t seem to find any info for what days the celebrities will attend. do you have that info yet? Unless it’s specified next to their names (such as Helen Reddy and Verne Troyer), the celebrities are there for both days of the event. QUICK QUESTION…………….the early bird tickets that allow you to get in at 9………..are the celebrity guest going to be on hand and available at 9 or is it a select few????? hows it that going to work? Regarding photo booth pics, Is this a pre-order thing? Or can I get this service anytime during the show? You should definitely place an order online because there’s a limit on how many photos the celebrities will be posing for. We’ll have a complete list of the celebrities participating, as well as the times for their photoshoots on display at the show. You’ll receive an 8×10 professionally taken and processed photo that can then be autographed if you’d like to do so.